I'm David Hayes from the RX7Club forum and the mods here have been gracious to allow the start of this auction forum to benefit Bubble Tech, a big supporter of rotary owners. While BubbleTech focuses mostly on 3rd gen RX7 parts, they are a big producer of rotary t-shirts and other goodies as well, so they benefit us all. As detailed in the above link, BubbleTech's shop recently burnt down, leaving the owner, Benny, with very little. A number of folks have been very kind and have donated to his you caring fund drive (Phoenix Garage: Rebuilding Bubble Tech HQ From The Ashes | Emergencies & Disasters - YouCaring). 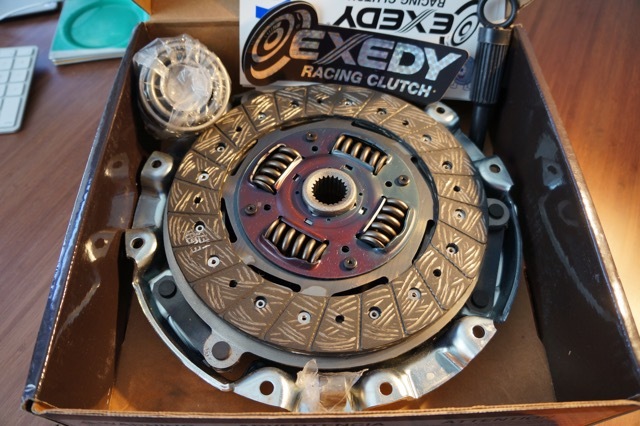 So, if you can't donate directly to him, then how about buying a great Exedy Racing Series clutch, with all proceeds going directly to him? A win-win, right? Here is what is up for auction. 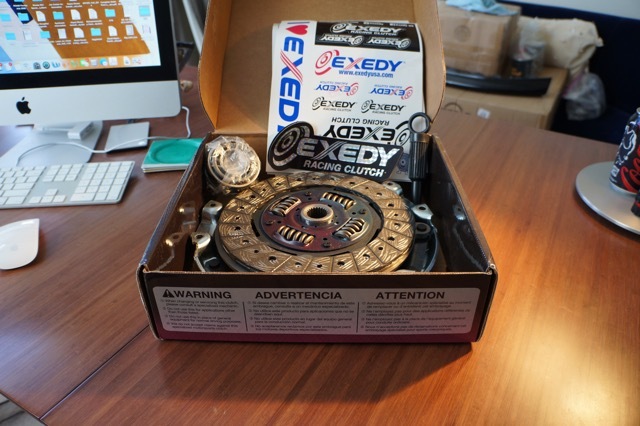 A brand new, still in the box, Exedy RX8 Single Sports Series clutch. This item is model number 10803AHD and is a fantastic clutch. 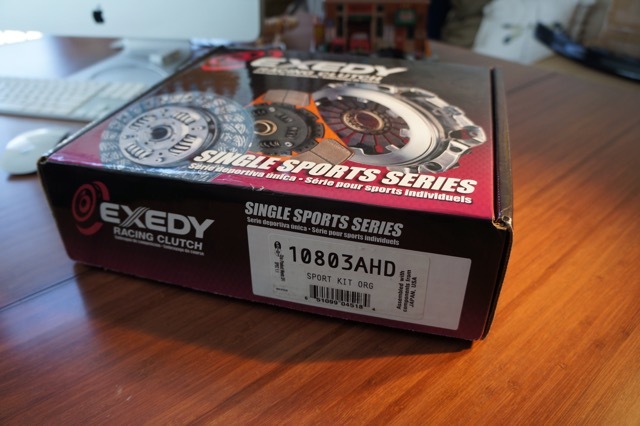 Gets great reviews and is a nice upgrade for RX8 owners that simply need to replace a wearing out clutch or for those who want to do more spirited, performance driving. - Ultra Fiber Discs provides high heat resistance essential for street performance and mild racing applications. - The discs have a copper weave that will increase the heat resistance characteristics and burst strength eliminating the need to reinforce the friction material with steel plates. - Clutch cover designed to achieve clamp loads that are 40% than the OE part allowing a higher torque transmitting capacity. - Pressure plate manufactured using ductile material allowing for high burst strength in all temperature ranges. - The unique Ductile material ensures durability and long life. The MSRP on the clutch is $592 and the selling price online starts at $385. Let's start the bidding at $200 and buyer pays shipping from 28804. Or, if you are going to be at DGRR next weekend, I will bring this along for you. Who wants to jump in on this to get a great deal and to help Bubble Tech? End time on this auction will be ONE WEEK from today, so Saturday, April 18th is the last day to get your bids in! Last edited by RIWWP; 04-11-2015 at 09:45 AM. so easy.... $200 it is! Awesome, we have the first bid in! Thanks ShellDude. Now let's keep those bids coming in for a great product with all proceeds going to support BubbleTech. Well, I'll probably need a new clutch soon, so $225. Thanks for the bid! Let's keep them coming. Leaving tomorrow morning for Deals Gap Rotary Rally. Internet is sparse out there but I will do my best to check in on the auction. Let's get some more bids in - remember, it's going to a great cause. The clutch, she will be mine! $275! Last day of auction! Ends tomorrow morning so let's keep those bids coming in. Spoke with Benny here at Deals Gap Rotary Rally and he really appreciates the support. Great guy and great clutch FTW! you don't even have an 8 any more! Assuming I won this, please charge me the going rate for this clutch. I don't want to put a reputable supplier out any more than they already are trying to help Bubbletech. I think this clutch was won for free in a giveaway, but it is of course up to War Eagle how he handles it. If that's the case then I'd still like to pay, at the least, the "internet" price to show support for Bubbletech. I tried to find some of my own stuff to sell/donate and have come up empty. Just generally a nice guy huh shell? When ya think you have people(as a whole, not an individual) figured out, someone like Shell emits hope for the future..
Wow, just back in for the evening from Deals Gap Rotary Rally and wanted to see how it all turned out. First, thanks for the bids and congratulations to ShellDude on winning. 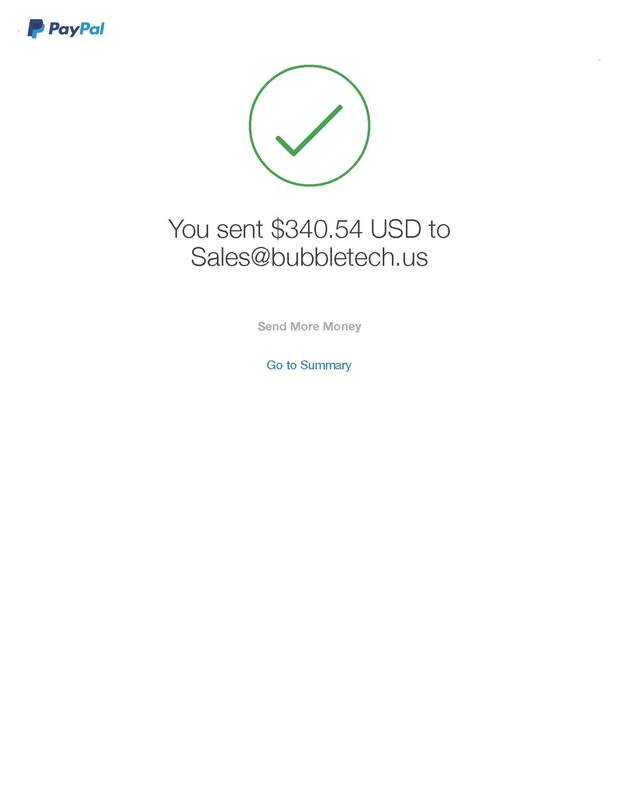 I really appreciate it and I know Benny from BubbleTech will put the money to good use. RIWWP is right, my father in law won the clutch at last year's Deals Gap event. When he found out what had happened to Benny and his shop, he offered up the clutch for this auction. So, I am sure Benny would be happy with the $300 but would be ecstatic with the internet price. Cheapest I found it on the internet was $385 but please, pay what you are comfortable with contributing. Shell, I'll shoot you a pm with my info. Again, thanks to all for looking and bidding and to the mods for setting this up. Transaction completed! Thanks so much to Shell for his generosity. He paid more ($350) for the clutch than the winning bid of $300. Awesome guy. Again, thanks to the mods for allowing this and for all that participated.